i have fallen totally and completely in love with SPC ECO, the latest project of Dean Garcia from Curve. this time he is keeping it a family matter, because SPC ECO is Dean, his daughter Rose and his son Harry together with So Young's Joey. the british press have already found a name for this kind of music: Nu Gaze!!! 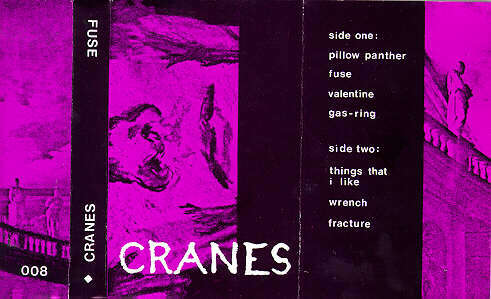 all you beautiful Cranes lovers should really go and check them out, i know you'll be pleasantly surprised. you heard the man, so go and check them out!!!!!!! SPC ECO have a 7" out and it's brilliant!!! CDs are impossible to find but tonevendor has vinyl and emusic has mp3s. Hardly obscure, and apparently I'm a couple of months behind the rest of the internet, but I'm absolutely in love with the new Portishead album. I can't seem to turn it off. Cellophane Rain, fem vox sound a bit like the Brittle Stars, and also Douglas Heart. Listen to Sunshower and Second Song (aka the untitled one).. ultra-pretty sounds.. other tracks have beautiful harmonies with male/female vox. and Autodrone's Strike A Match. I'm eagerly awaiting this CD in the post.. gorgeous sounds, kind of like a shoegazy version of the Howling Bells. oh.. in case anyone really lives under a rock.. the Howling Bells! They're good, very good! Awesome, awesome band. This lot and the Cranes would make a formidable double bill. "I say you are a weedy pigeon and you can call me Susan if it isn't so." Thanks for The Mummers info. They sound pretty good. I'm also a Queen Adreena fan, though I wasn't so impressed with their last album. Good call. Lisa Lobsinger is a goddess... I still haven't recovered from seeing Broken Social Scene perform Anthems For A Seventeen Year-Old Girl three or four years ago!